Improving our knowledge about funding patterns in different research domains and how funding contributes to research is a matter of great interest for funders and policymakers. This paper aims to (a) compare the funding patterns of two biomedical domains that differ in their basic versus clinical nature, and (b) to elucidate the factors that influence the presence of funding. To do so, we draw on the scientific output of Spain-based researchers in the Virology (basic) and Cardiac and Cardiovascular Systems (clinical) domains as covered by the Web of Science database. 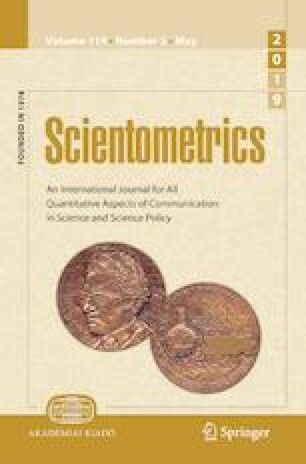 Funding rate, public versus private funding source, and national versus foreign origin of the funds are examined through an analysis of funding acknowledgements in published papers. The relationship between funding and different bibliometric indicators such as impact, collaboration, basic or clinical research level, and authors’ institutional sector is scrutinised. Funded studies tend to have higher impact and are more likely to have foreign partners, findings which are aligned with the objectives pursued by public funding agencies. Clinical research and research done in hospital settings are less likely to be funded. The likelihood of funding increases with the number of institutions in the clinical domain but not in the basic one. Although collaboration is fostered by public research agencies and funding may enhance the establishment of collaborative links among researchers, the likelihood of being funded does not always increase with the number of institutions, because other factors such as the type of institution and the clinical or basic nature of the research have a significant moderating effect. We are grateful to the Ministry of Economy and Competitiveness (MINECO) for funding research project CSO2014-57826-P, the pre-doctoral contract BES-2015-073537 awarded to B.A.B., and the Juan de la Cierva-Formación Postdoctoral Training grant awarded to A.A.D.F. We would like to thank the ACUTE team for its support with data processing, and Carmen Cabanillas for developing programs to manage funding data. We are also grateful to Rodrigo Costas for suggestions and to Kevin Boyack for kindly providing the data on research levels. Appreciation is expressed to K. Shashok for improving the use of English in the manuscript. International Committee of Medical Journal Editors [www.icmje.org]. (2017). Recommendations for the conduct, reporting, editing and publication of scholarly work in medical journals. Accessed on 08 June 2018. Available from: http://www.ICMJE.org.